Market Gates Shopping Centre01493 858677work Shopping CentreMarket Gates Shopping Centre, Great Yarmouth, is a covered mall in the heart of the town centre with over 40 shops and places to eat all under one roof. 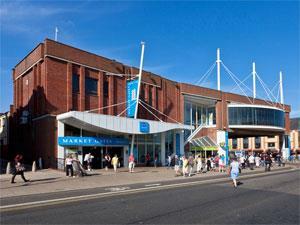 With its own multi storey car park and ATM facility, Market Gates is a great place to shop. Shops include contemporary fashion and jewellery, accessories and items for the home & garden, hair & beauty, mobile communications and more traditional greetings cards. Market Gates has them all! With a great choice of places to eat and drink ranging from coffee shops & cafes to fast food and oriental options, you can shop and relax at the same time. Market Gates Shopping Centre, Great Yarmouth, is a covered mall in the heart of the town centre with over 40 shops and places to eat all under one roof. 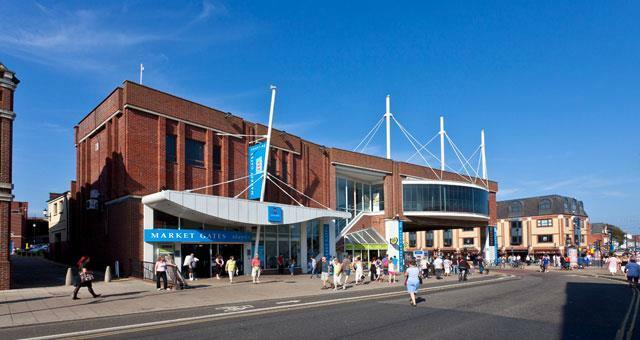 With its own multi storey car park and ATM facility, Market Gates is a great place to shop. On arrival in Great Yarmouth follow signs for the Town Centre. Market Gates Shopping Centre is located in the heart of the town centre, near to its busy Market Place, with plenty of parking available.